In case you missed it ... By TLT Notification No. 50 , the World Intellectual Property Organization has confirmed that the Kingdom of Morocco deposited its instrument of ratification of the Trademark Law Treaty on 6 April. 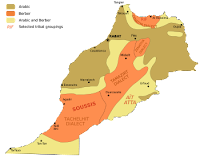 The Treaty will enter into force for Morocco on 6 July 2009.